Government’s One District, One Factory (1D1F) programme has received a major boost in the South Tongu District of the Volta Region. The South Tongu District Assembly revealed that some investors from India, who are into banana cultivation, have shown interest in the agricultural sector of the area. To this end, the assembly recently introduced the investors to the chiefs and key stakeholders in the district to boost agriculture in the area. The District Chief Executive (DCE), Emmanuel Louis Agama, disclosed that the meeting was to brief all parties about the prospects in the area and how all parties can make good use of them. He said that the district has arable land for the cultivation of vegetables, cereals, sugarcane and rice, as well as the Volta Lake to provide water for all-year round farming. The Volta River can also be used to boost tourism and aquaculture, among others, he added. He was hopeful the Indian investors would attract other investors to create opportunities and jobs for residents, especially the youth. Mr Agama said, “The objective of bringing in the investors is to ensure food security and provide job opportunities for the large army of unemployed people, especially the youth in the district. Siddharth Chaudhary, Director of the Radikal Industries, expressed happiness with working with the South Tongu District Assembly. He announced that the company would employ 2,500 Ghanaians, particularly the youth, to improve their living standards in the area. 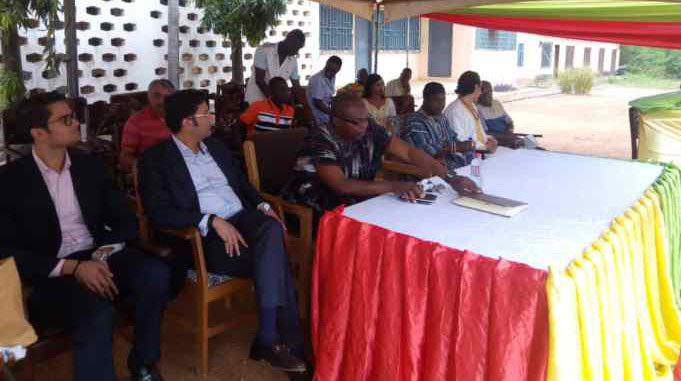 Mr. Chaudhary said that they would work closely with all stakeholders, particularly the chiefs and people of the area.